Quarantining fish has always seemed like a time consuming, expensive and complicated process. I’ve been lucky and haven’t had any fish with ich, velvet or other parasites in my display tank in the past. That said, there are more and more reports of fish coming in with ich and velvet from the major US importers. I have a clownfish in my tank, Jaws, that has been with me for over 7 years as of writing this. I’m just not willing to risk her health to take a shortcut when adding new fish so I decided to learn what quarantine is really about and what equipment it takes to accomplish it successfully. 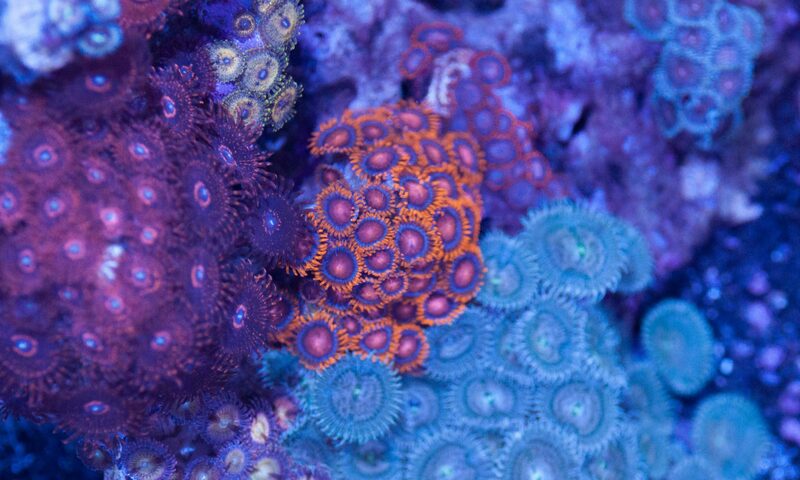 There is a process that is entirely different for quarantining inverts and corals which I’ll talk about in a later post. For now, let’s focus on fish. I assumed a quarantine tank (QT) was going to be an expensive system that had to be running constantly with specialized equipment. It turns out the equipment you need is really basic and you probably have most of it laying around in your fish closet anyway (you know you have a fish closet, don’t deny it!) and you can set it up just a few days before you need it. Aquarium: There’s no need to go crazy here. You don’t need an all-in-one setup or a drilled tank with an overflow and a sump. A simple glass box is all it takes. 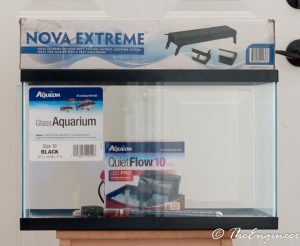 There are several big name pet stores (Petco, Petsmart, Pet Supplies Plus) that run $1 per gallon sales during the year and it is a great time to pick up a tank for quarantining. Size is important here and will depend on the fish being quarantined and how many fish will be in the tank at once. The fish will be in here for around 2 months, maybe longer. They don’t need to be able to live here when they are full grown, but they need to be comfortable for 2 months. A 10g aquarium is fine for clowns, wrasses and chrmois, but tangs and other large fish will need a 29g or larger. Light: This tank is just to keep your fish comfortable while they undergo quarantine. You aren’t growing corals or other photosynthetic creatures. That means you can get away with a very inexpensive light. The old incandescent fixture from your first freshwater tank is all the light you need. You could even use a clip-on light. Heater: This is an easy one. Just like in your display tank, you need to keep the water temperature stable and as close to your display tank temperature as possible. A reliable heater is a must. A good idea would be to use a heater controller along side your heater for some redundancy. Places to Hide: Quarantine is stressful and you fish are going to need places to hide where they can feel safe. Live rock is NOT recommended for a quarantine tank as it can absorb medication and introduce pathogens. A few PVC elbows from the local home store will do the trick. Pick elbows which are large enough for your fish to enter and rest in; 3″ for small fish, 5″+ for larger. Ammonia Alert Badge: A quick killer of fish in quarantine is a sudden rise in ammonia levels. This can happen in the course of hours, not days, so you need an easy way to monitor ammonia. Luckily, you can put a Seachem Ammonia Alert Badge in the tank and it will solve your problem. Optional Extras: Heater controller, cover for the tank (required for fish that tend to jump), backup air pump in the event of power outage and a timer for your light. Look for my next post about the two most common methods of quarantine and how to choose the most appropriate one.